Eneko Castresana Vara (ecv) added a comment to D3743: Tiled Voronoi Noise : Cycles, Eevee and OSL. Maybe I did something really stupid, but I couldn't apply the patch to the recent master, and neither could I figure out what was the last commit this patch would work on, so I manually (and a bit painfully) introduced the changes and managed to make it build after fixing a few implicit conversions which appear to be disallowed by the compiler options (taking warnings as errors, I think). Excuse my noobishness, did I get right that this diff didn't get committed as of yet? When can we expect it if so? Eneko Castresana Vara (ecv) updated the task description for T62891: Hair even distribution is not even. Eneko Castresana Vara (ecv) created T62891: Hair even distribution is not even. 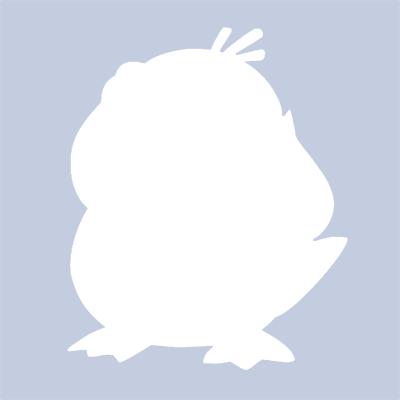 Eneko Castresana Vara (ecv) added a comment to T61632: Clip Start value in orthographic view. Eneko Castresana Vara (ecv) created T61621: Inverse Kinematics (IK) overlapping chains mess up some bones. Eneko Castresana Vara (ecv) added a comment to T61326: Curves not displaying properly with "In Front" ticked in EDIT mode going through meshes.. It might be relevant: Appending a mesh and curve from a 2.80 .blend into 2.79 renders the curve occluded in both object and edit modes. I have also found this to be the case with meshes, when one of them is set to "in front" and both are selected and going into edit mode, no matter which one is the active object. But I do not know if this is to be expected anyways in this not-so-common case. Eneko Castresana Vara (ecv) created T61326: Curves not displaying properly with "In Front" ticked in EDIT mode going through meshes..
Eneko Castresana Vara (ecv) added a comment to T61251: Weight painting not painting on back faces when "Show whole scene transparent" on. Sorry, and thanks for clearing this up. Eneko Castresana Vara (ecv) created T61251: Weight painting not painting on back faces when "Show whole scene transparent" on. Eneko Castresana Vara (ecv) created T61231: Undo -ing during weight painting reverts (temporarily set) pose to keyframed pose. Eneko Castresana Vara (ecv) created T48725: Just a typo. Eneko Castresana Vara (ecv) reopened T39234: popup menus behave poorly when they have not enough width for all their columns as "Open".